click here to see sale prices! line Spam filtering and infrastructure built for growth. A responsive layout that can adapt and change for different screen sizes is critical to support the variety of web-connected devices available today. Your website, hosting and email will scale with your business and stay current with the ever changing world wide web. Looking for a Fully-Managed Email solution? Our Premium Business Email service provides top of the line Spam filtering and infrastructure built for growth. Sensible pricing, timely support and always here when you need us. Elevate your business standards by working with an industry leading web design professional. JoyceMedia is a professional web design, web development, and website hosting business that has been delivering premium web services to clients since 1999. We are specialists in custom website design services and have the skills and expertise to take your business website to the next level. Times have changed. Businesses must adopt multi-responsive and cutting-edge website designs to not only attract new clients but retain existing ones. Don’t stand in one place and let your web design go out of date. We have experienced web design professionals who will guide you through the entire development process and help maintain your website as well. At JoyceMedia, we take pride in our work and are motivated to help clients upgrade their existing websites or build new websites from scratch. With nearly 2 decades worth of experience under our belts, we are motivated to help our clients acquire the latest in website design and hosting solutions. Every business is measured by what it brings to the table in terms of helping its clientele. At JoyceMedia, we are committed to helping our clients achieve success through world-class web design, web development, and web hosting services. Our goal is to facilitate our clients into creating a formidable online presence that drives traffic and allows them to achieve exponential growth. The cornerstones of our business have always been honesty and integrity, which have allowed us to maintain healthy business relationships with our clients. There are no hidden fees, no hassles, and no delays in any project we undertake. Websites became mandatory for Fire Districts in New Jersey in 2012. Like most fire districts, Lower Township Fire District No. 2 has no paid staff. Creating and maintaining a website was a daunting task. Following a couple of years of watching our prior consultants attempt to develop a website that met the New Jersey standards, in 2015 a friend recommend Joyce Media. This thought to be daunting task was as simple as a five minute conversation with George Joyce and emailing him a copy of the New Jersey regulations. I also emailed him some documents that needed to be posted on the new website he was to design. Within 48 hours, Lower Township Fire District No. 2 (firedistrict2lt.org) had a fully functional, state compliant, website. Like any governmental website, it needs constant maintenance to keep all of the information up to date for meeting notices, meeting minutes, announcements, financial information, etc. Joyce Media handles all of the maintenance with ease. All I do is email George with what I need added and what needs to be removed and within a day it is on the website. The design of the website great, understandable, and well organized and the service provided by George is what one would expect of a great “Webmaster”, but as we discovered, it is not what you usually get. I recommend George Joyce and Joyce Media for your web design, development and maintenance very highly, he truly is a great “Webmaster”. We’ve had the distinct pleasure of having been a client of Joyce Media. We have been extremely happy with George’s professionalism, quality of work and creative ideas. He truly is a gifted marketing consultant, very focused on getting the job done in a timely manner. He helped our firm with fresh designs for our logo, web site, etc. and he did an outstanding job on short notice. He also has innovated ways to keep the development costs down, which is greatly appreciated. George developed fresh, concise marketing material that is on par or better than any other firm in our field. We can say, without hesitation, that Joyce Media has exceeded our expectations on all fronts. We whole hardily recommend Joyce Media Web Design and will continue to do business with them on an ongoing basis, you will find no one better! I was fortunate enough to find JoyceMedia web design in 2008. Since then they have become a very valuable business asset. JoyceMedia gives me the ability to keep a full time web designer “on staff”. George is always there when I need him and always goes above and beyond. JoyceMedia has designed and hosts several websites for me. I’ve also referred several friends and businesses to his services. His prices and professionalism are second to none. I want to take a moment to tell you how pleased the Borough of Avalon, New Jersey is with JoyceMedia Web Design, and the services that your company provides. We had no idea where to take our website until we communicated with you, and you offered excellent ideas. We made a promise to the community that Avalon’s website would be the best in Cape May County, and it is. The graphics are terrific, the website is very timely, and it gives Avalon residents and visitors a good reason to come back, and log on, several times a week. What’s most pleasing to me is that the turnaround time to get information on the site is very quick. All I have to do is email you, and I know the work is done, often well under a 24 hour turnaround time. And, I was also pleased to learn that any idea I’ve suggested about the website can be done, from future work involving audio, video, graphics, and more. We wanted a site in Avalon that was fun, sticky, and professional. JoyceMedia delivered when we redesigned the site this year, and JoyceMedia delivers each and every day whenever updates are needed, big or small. I want to personally thank you for all of your hard work. The communications effort in Avalon has been made a whole lot better with the relationship between Avalon and JoyceMedia. George Joyce at Joyce Media has done a fantastic job on our three municipal websites for over a dozen years. We have never had issues with the websites being “down” and his service is second to none. When we request updates he immediately responds and never nickels and dimes us for service requests. I honestly don’t know how George does it but I would highly recommend Joyce Media Web Design to anyone seeking website creation and management. Joyce Media Helps Saves Lives! We are small animal rescue that pours every cent we raise towards animal care, food and veterinary services. Having a professional website was a luxury out of our reach, but we knew that having one would help us build reputability, search visibility and exposure for our foster animals. We are grateful for George’s generous gift of his time and talent to provide us with one. He designed the layout and developed our website with the warm and compassionate feeling needed to obtain support for our mission. Joyce Media hosts our website, and George makes updates every month with new pictures, videos, event schedules and fundraising campaigns for our fosters. I swear I think he is able to blink his eyes to make the changes since they are done so quickly! I could not ask for for more patience with my limited computer literacy and lack of technical knowledge. Even when I don’t know how to explain what I need, he listens, he hears me and he creates! When George says “see if you like it”, there is never a time I don’t! As a Municipality that had an old website, change was desperately needed. You cannot go wrong with choosing Joyce Media to design and manage your new website. Great communication throughout the project. They completed our new website on-time and more than exceeded our expectations. As we make improvements or need to get new information out to residents we require frequent updates to our website. The service has been quick and spot on. This is one project made easy with using Joyce Media! Whether a simple fix or a complete redesign of your site, Joyce Media does fantastic work. They took our municipality’s old, outdated and crashing site, and completely revamped it. It is user friendly, easy for us to make minor changes, and best of all, Joyce Media responds immediately to any issues or problems you may have. I highly recommend them for your web needs. I’ve been in the Informational Technology field for 25 years and have dealt with many vendors in that time. The many qualities I respect in a company George Joyce has dependability as one. Knowing what his customer base needs is another. a great relationship. I hope to continue to do business for many more. Joyce of Joyce Media Web Design. He has never disappointed me. He has never failed to exceed my expectations and his turnaround is unprecedented. I would recommend him without hesitation. The Wildwood Beach Patrol uses Joyce Media to create a media presence to support community education, beach events and beach safety. Joyce Media is a convenient and local business for our website needs. Service is professional and immediate to the three sites WBP maintains – WILDWOODSEAL.COM, CUREATTHESHORE.COM and WILDWOODNJ.ORG – BEACH PATROL. I had the privilege to work with George and Joyce Media years ago to develop a website for Carwash Operators of New Jersey. When I decided to start my own company I was confident that George would be helpful to development my new website at a reasonable cost and a very quick turnaround. I would highly recommend Joyce Media to my family and friends in need of a website. When our organization began looking for a new web service for our website, we were recommended to George at JoyceMedia. After our Association had dealt with a previous company, which resulted in a very poor experience, JoyceMedia has been a breath of fresh air! George is incredibly helpful and receptive to any questions or changes that we require. His response time and assistance often seems immediate. George has also helped us trouble shoot a number of issues that have come up, as well as increase our capacity to offer different services, like membership renewals on our website. After working with JoyceMedia for the past 3 years, I would highly recommend the company for the quality of work and customer services. Three years ago, as VP and Publicist, I contracted George Joyce, of JoyceMedia, to design and manage the website of Avalon Performing Arts Council (APAC) a non-profit organization in Avalon, NJ promoting cultural and artistic events for all ages. APAC was looking to develop a website for the first time and join social media.JoyceMedia was well recommended, and it was an easy process working with George in the design and development of a website at a very reasonable cost, that contained all the elements and functions needed; providing general and current information for APAC’s board, members, artists, donors, and general public. It was a website well viewed by APAC’s grant administrators, and gave APAC visibility. I now serve as President of the APAC Board, and three years later, I remain quite pleased by JoyceMedia’s work, quick turnaround service, and continued reasonable cost. If you are looking for a talented website designer, Joyce Media Web Design is the perfect choice. George, of Joyce Media, has proven over the years that he is not only creative and capable of multi-tasking but also masterful in acquiring the knowledge required in developing a first-class website to showcase the finery we offer. Be assured that before selecting Joyce Media, several web designers were interviewed and not one was acceptable. We persevered in our search because of the standards and demands necessary to highlight the exceptional quality of the finery we have sold for ninety years. After a face-to-face meeting with George/ Joyce Media, we knew we had found the perfect webmaster. Joyce Media has helped me build my business. George created my first website almost 10 years ago. He is always available to update the site and improve it when necessary. He recently helped me create another website for my other business. I highly recommend George! The Linwood Library is extremely happy with the professional services Joyce Media has provided to us for many years. Not only has it been cost effective, being a non-profit organization, but the customer service goes above and beyond. Joyce Media is worth every penny! For several years now, JoyceMedia has been a huge help to the Cumberland County Historical Society. George is always readily accessible to update our website and assist in any and all requests. He is prompt in responding to our emails and the Society has always been satisfied with the service we receive. 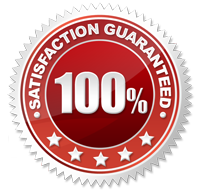 JoyceMedia is a reliable business and committed to doing fine quality work. George has been a pleasure to work with! He is professional and highly responsive. He quickly understands what you’re asking for and often exceeds expectations with the result of his work. You can feel confident that you are in good hands with Joyce Media! “Our website is the portal for our members and visitors to obtain information about recycling. It must be visually appealing, easy to navigate, easily and quickly updated and hold a lot of information. The development of the site and the annual maintenance charges must be reasonably priced.” These were the conditions that were presented to Joyce Media at our first meeting in 2000. Working with George, Joyce Media met and exceeded our conditions and developed for the Association of New Jersey Recyclers a website that our members and guests use as we envisioned. We recently upgraded the look of our website and at George’s suggestion incorporated new web technologies. We are pleased with our website and the service we receive from Joyce Media and would, and have, recommend them. My new website ‘By the Sea Home Décor.com‘, represents every thought process I envisioned thanks to George of Joyce Media. Being a Professional Interior Designer/Business Owner, my expectations are very high and demanding, and Joyce Media was able to present my Photos, Videos and Company Information with Spectacular results. George is wonderful to work with, very creative and awesome in talent, which I truly appreciate!!! He will be continually updating my site every month with all of my new projects and videos. George’s energy and persona is reflected in his work. His professional and prompt communication is so important and projected with every email. The Site Statistic reports are so detailed, its amazing. George’s whole package of product, services and pricing are excellent. I would recommend George and Joyce Media to anyone who knows and understands the importance of web business. In our search for an Internet presence it was imperative that the site conveyed the “look” of what our company was all about. Being involved in an artistic medium as we are, I needed the site to breathe art and design. What better way of selecting a web designer to convey those requisites than to view the portfolios of work designed by all the local companies to see what kind of work they created. As an award-winning designer I knew what I was looking for and George’s work impressed me from the moment I saw it. And even more importantly it has impressed our clients! I can’t tell you how many positive comments that we have received since “going live”. Clients from all walks of life from the mom and pops to national cable TV executives in commercial advertising all said what a great and informative site we had, and that translates into sales. Even our national trade magazines have contacted me to comment on how they were impressed with the site, as evidenced in a recent article on websites that had interviews with the both of us. Your professionalism and expertise in the graphic arts along with your commitment to unsurpassed customer service made choosing your company one of the best and easiest decisions that I’ve ever had to make. I would recommend you to anyone who is looking to have a web site done the right way. Thank you for everything that you have done for us and keep up the good work! James R. Peterson, AICA, Peterson Monuments, Inc.
JoyceMedia has constructed and maintained websites for my bands for the last 3 years or so. Throughout this time we have been extremely satisfied with both the professionalism and customer service we have received from JoyceMedia. Their design, service, updates, personal attention, fees and responsiveness has be exemplary. When my band originally contacted JoyceMedia about constructing a website, the only ideas we had were regarding what type of information we wanted to display. We left it up to them to design the layout and logos for the site. In addition to designing incredibly professional logos for our bands name, their choice of colors, frames, link buttons and overall “feel” of the site matched the personality of our band and truly captured what we were about. Our site needs to be updated consistently with pictures, videos, and scheduling updates. I’m sure that these constant updates require more than the one-hour per month free update service that JoyceMedia provides, but never have they balked, or billed extra in providing these timely updates. Communicating with JoyceMedia regarding site maintenance is always easy. My relationship with them always leaves me feeling that I am viewed as more than just a customer. The personal attention they provide to their customers is unmatched in today’s market and is one of the main reasons that they have a customer for life in my band. They are always willing to work with me in regards to pricing and I always feel that we are getting more than our money’s worth! If you are thinking about using JoyceMedia for your business you will not be disappointed! In my opinion, they are one of the few businesses left that not only care about designing quality products for their customers, but also care about developing relationships as well! Stop by our site anytime to see an example of their work. The JerseyLite Candle team applauds the talents of JoyceMedia Web Design! Their perceptiveness in understanding and then creating the layout that we want to present, has made it possible for our small company, to receive repeat orders from satisfied candle lovers throughout the United States! JoyceMedia’s patience with the continuous changes in our product offerings and related design variations has never once wavered. They have proven to be invaluable for providing quick, professional service no matter when we call. We couldn’t be more satisfied with their service, and would recommend them highly to anyone interested in web design or redesign. Thank you, George and JoyceMedia!!! I run a small 2 person physician consulting firm; JoyceMedia Web Design treats me like I have 100 employees, they are above all responsive. Receiving critical or better said constructive insight into my web site is a bonus. Three years ago we started searching for a web designer to renovate our outdated website. Being a smaller company, we were shocked to see some of the prices that were given to us from other web designers. We came across George’s ad in the phonebook and decided to give him a try. We have yet to regret it. Not only was he the most reasonable in development costs, but monthly fees as well. And he doesn’t lack in customer service. Changes are made in a timely manner (usually within 24 hours), he is always accessible (either phone or email) and knowledgeable. If he can’t give you the answer, he will either get it for you or point you in the right direction. We would highly recommend George to anyone! If you are thinking of doing a website, george is the guy. I know there a tons of website guys out there, but he has made it so easy and he has great creativity also. His system is never down, and any requests that i have made, have been met promptly. you get everything you pay for and more. You should take advantage of the opportunity to use his services. You will not be disappointed. click here to read our web design testimonials at a more leisurely pace.